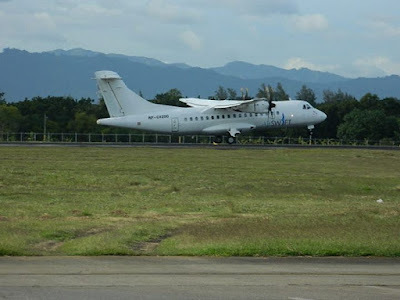 Aviation Updates Philippines - AirSWIFT, an airline operated by the Island Transvoyager Inc. launched its non-stop flights between Mactan-Cebu International Airport and El Nido Airport in Palawan. AirSWIFT launched its maiden flight to El Nido on Thursday afternoon. The airline will offer daily flights between Cebu and El Nido, two of the country's most visited tourist destinations. Passengers are able to fly to El Nido directly without flying to Puerto Princesa. Without the service, passengers will fly to Puerto Princesa and take a 6-hour land trip going to El Nido, hailed as the most beautiful beach in the world - according to a US travel magazine. “It goes without saying that Cebu and El Nido are two of the top destinations in the Philippines, and until today it was extremely difficult to get from one place to the other,” AirSWIFT General Manager Alfie Reyes said during the launch in the Mactan Cebu International Airport. “We are confident that there will be a good market for this in Cebu,” Reyes added. AirSWIFT currently operates its 50-seat ATR 42-500 for its new route that departs every day from El Nido at 12:55 PM. It will arrive Cebu at 2:35 PM. The return flight depart Cebu at 3:15 PM and arrive El Nido at 4:55 PM. AirSWIFT is the only airline that flies commercially on a regular basis directly to El Nido. The airline also operates scheduled Manila to El Nido flights four times weekly. It also offers chartered flights to El Nido, where it operates a private airport. How to book flights po? To book a flight, you may visit http://air-swift.com/ scroll down a bit and you'll see the BOOK A FLIGHT section. Thanks and have a nice day!